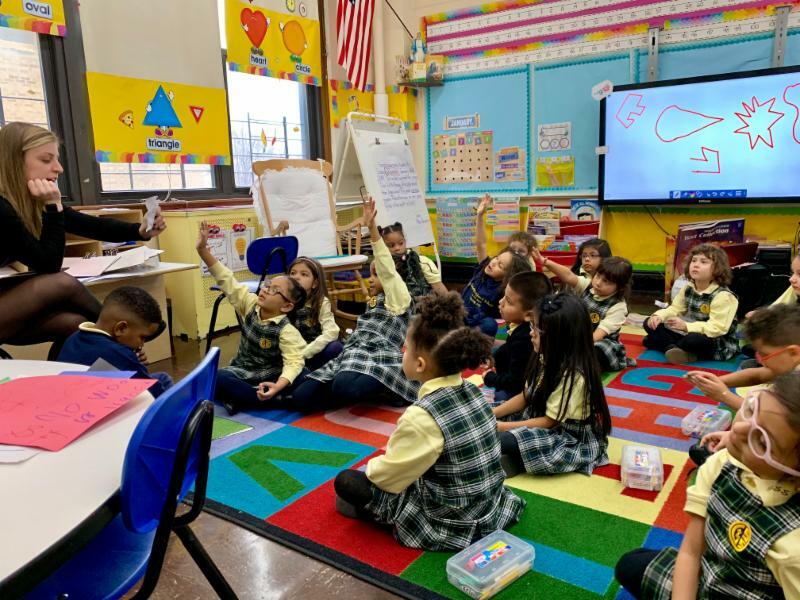 The beginning of a calendar means lots of hard work at Good Shepherd School. 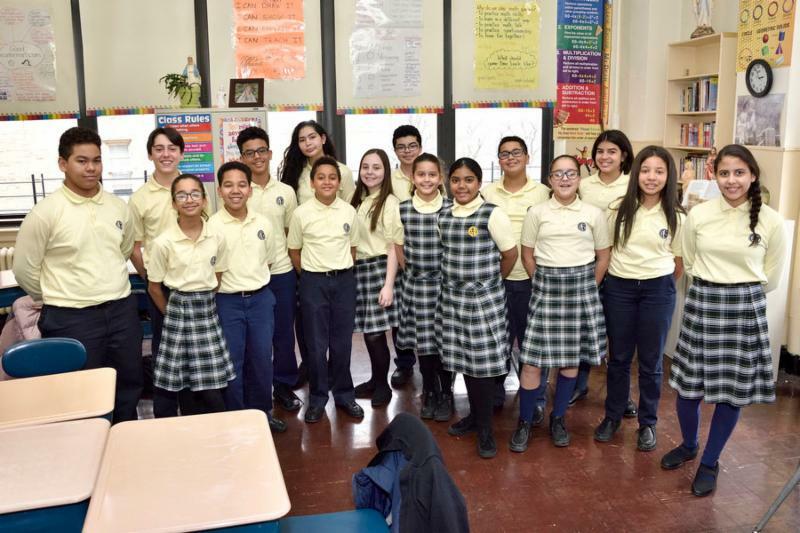 Catholic Schools Week celebrations tied in with high school acceptances, midterms, basketball, and rehearsal for the spring musical--it's all happening! 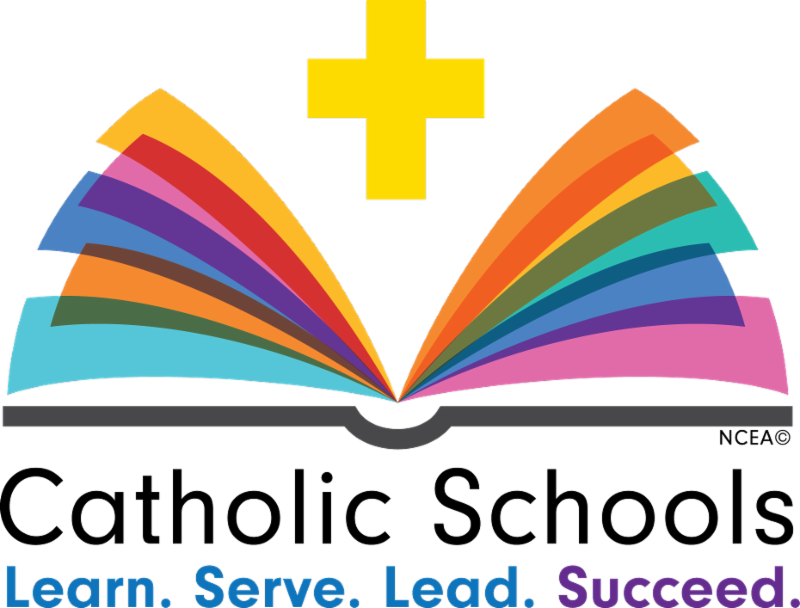 Sponsored by NCEA, Catholic Schools Week is an annual celebration of Catholic education in the United States. 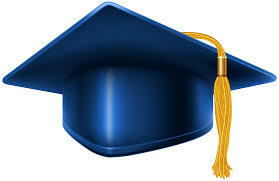 GSS students and faculty celebrated with a Career Day, Teacher Awards Ceremony, Student Vs. Teacher basketball game, among other events. 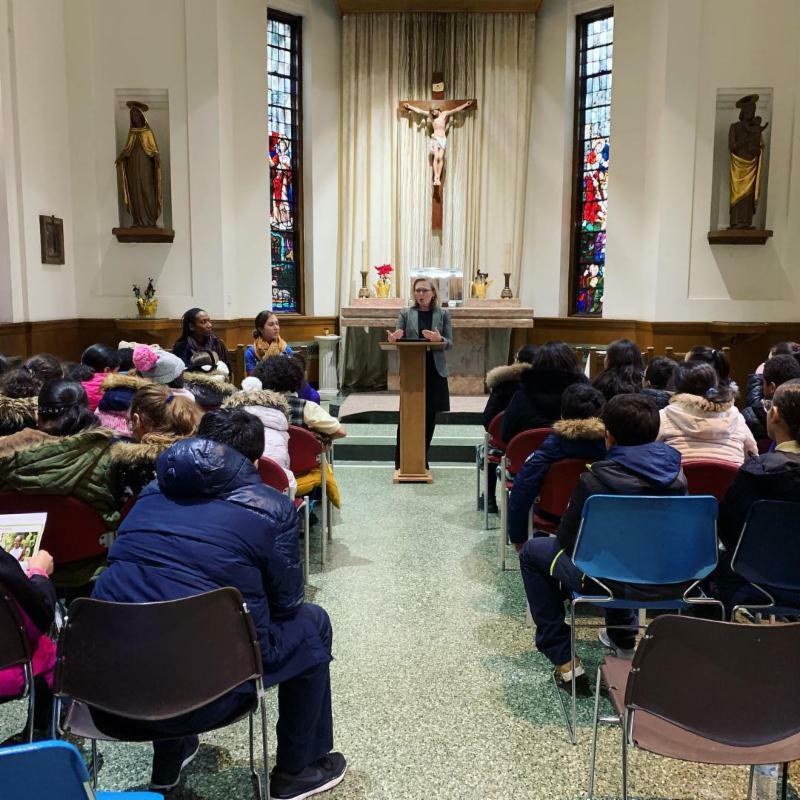 Through these events, we had the opportunity to focus on the value that Catholic education provides to young people and its contributions to Church, local communities and the nation. Thank you to Student Council and all who helped organize the events. Ms. Angela Dinger, E sq., Senior VP & General Counsel of William H. Sadlier, Inc. speaks to our 5th and 6th grade students about her professional career and takes questions from students. 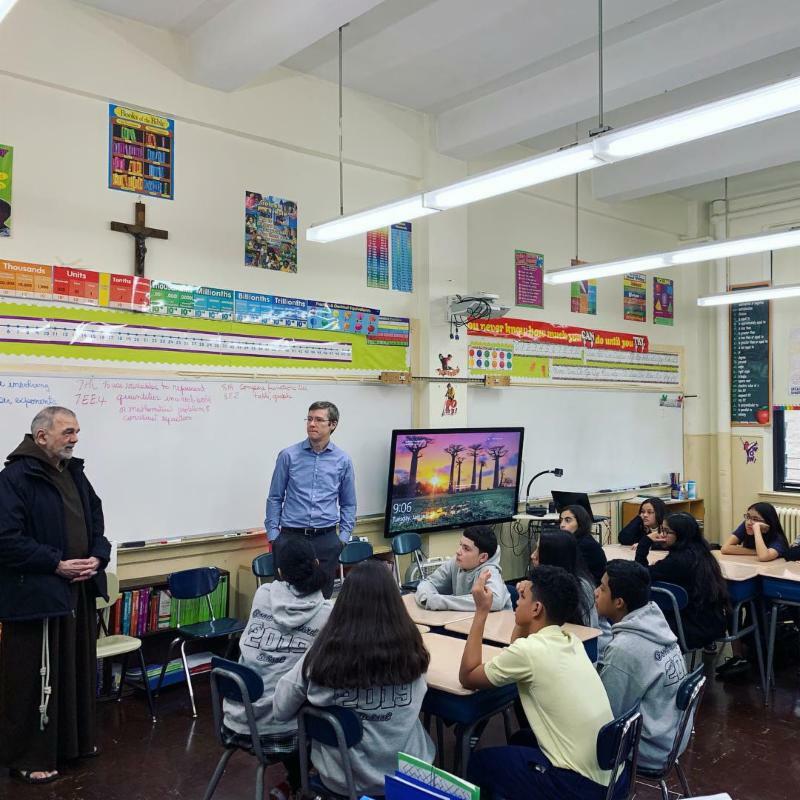 Father Tom and Mr. Colm Fitzmaurice, Good Shepherd Parish musician and web developer, Bank of America, speak to our 7th and 8th grade students about vocations and artistic careers. Student Council members present Certificates of Recognition to all GSS faculty and staff. 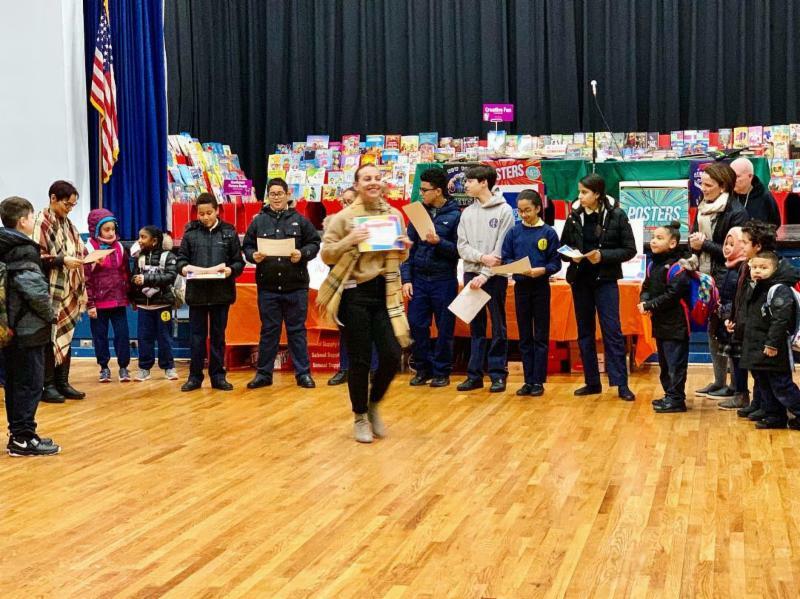 Pictured here Ms. Gasparino, 3rd grade teacher, receives her award. 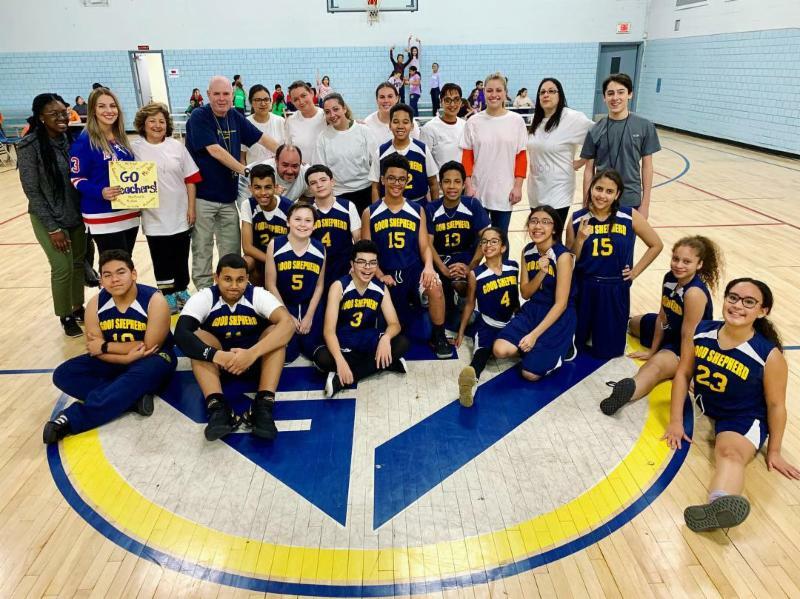 Congratulations to all teachers and students who participated in the basketball game, and thank you to our very spirited spectators! 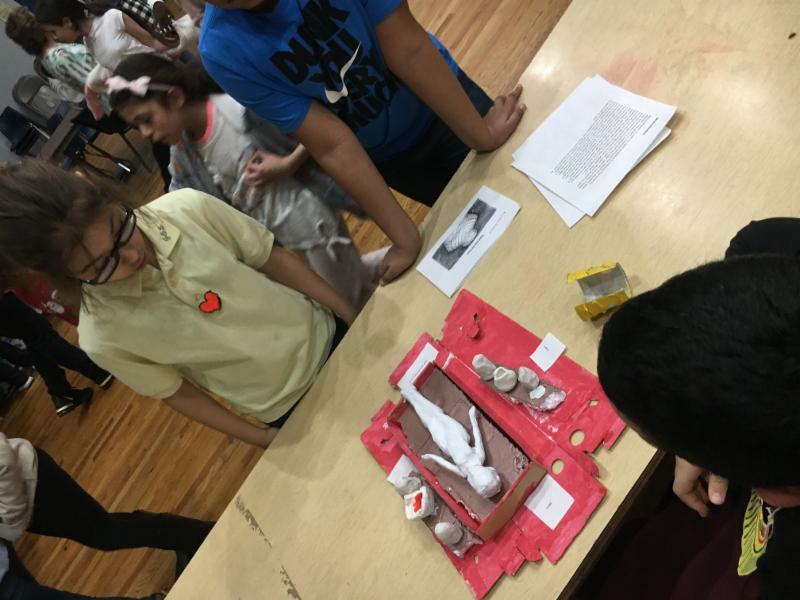 Ms. Koroma's 6th grade class worked hard creating Ancient Egyptian artifacts and presentations. 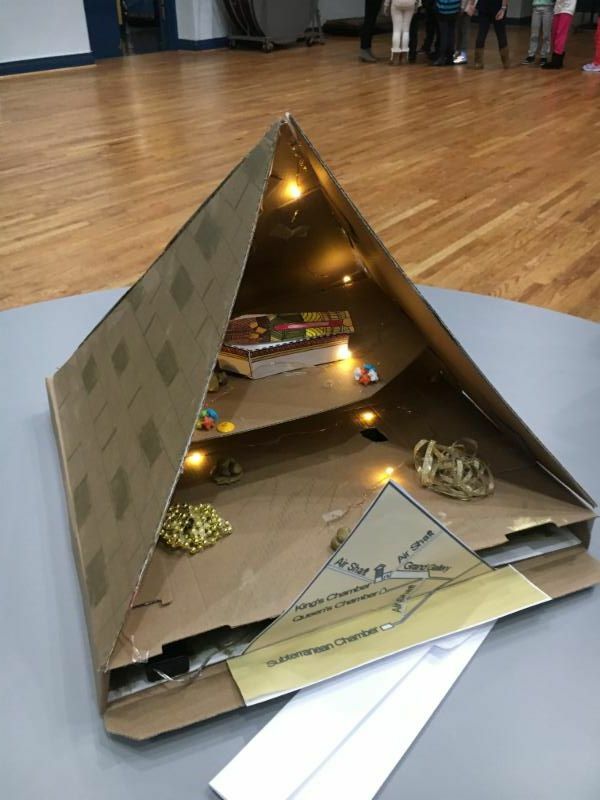 Students from all grades visited the exhibit and saw pyramids, death masks, mummification and more! Valentine's Day wasn't all about chocolate, a dress down day, and the color red! 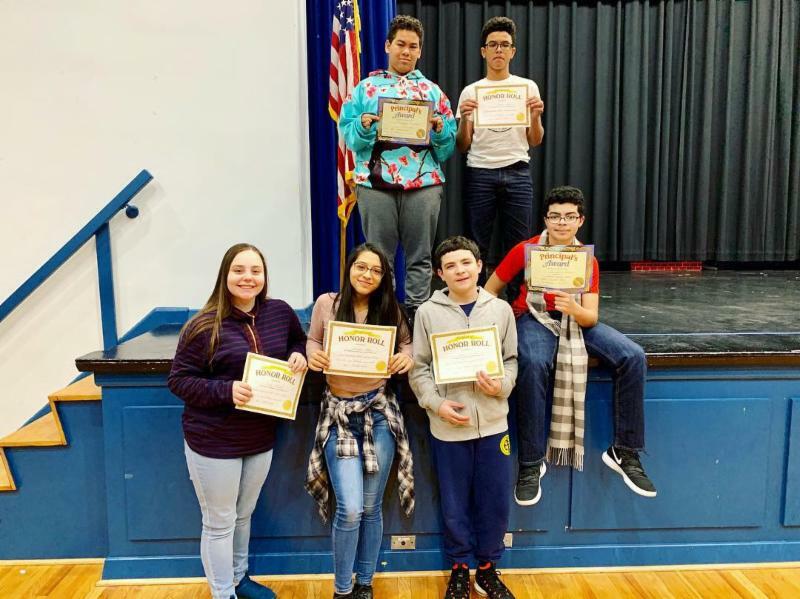 We celebrated our students' achievements in the second marking period with our honor roll awards ceremony. Congratulations to all students who received an award. Congratulations to our basketball team for a great season! They finished the season with a win against Corpus Christi. On the season, the team scored 188 total points! 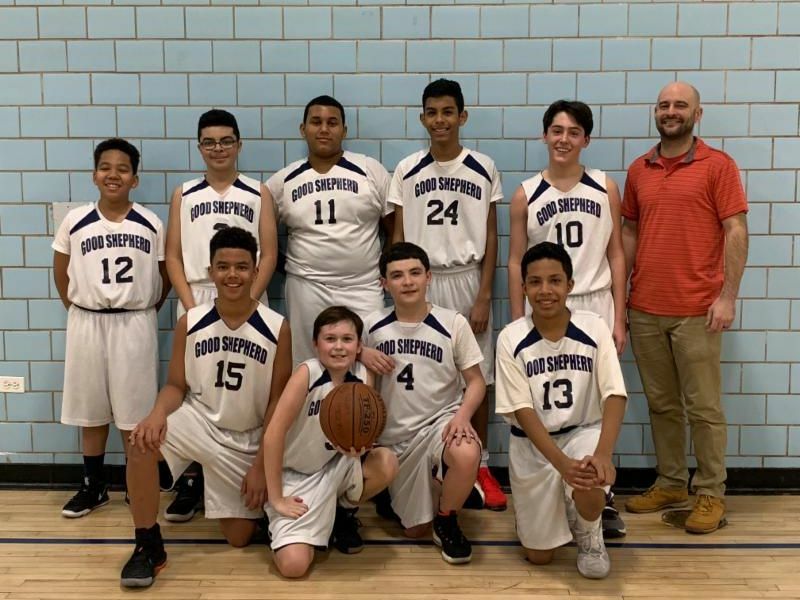 Mr. Pizzuto, coach, says "With Good Shepherd Basketball, we aim to develop positive leadership skills both inside and outside the classroom. 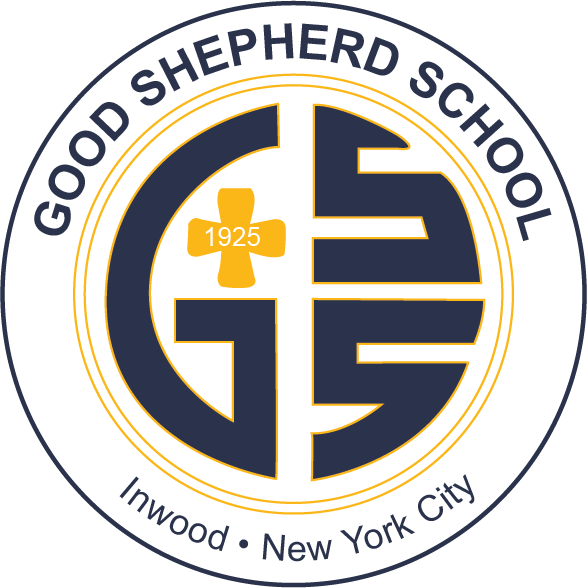 As representatives of Good Shepherd, we aim to make the Good Shepherd community proud with our actions on and off the court." The Kindergarten class practiced adding numbers that equal ten by having a snowball fight! Ms. Brown placed math problem snowballs around the room and the students picked up the snowballs and solved the math problem on their own. Excitement was in the air! 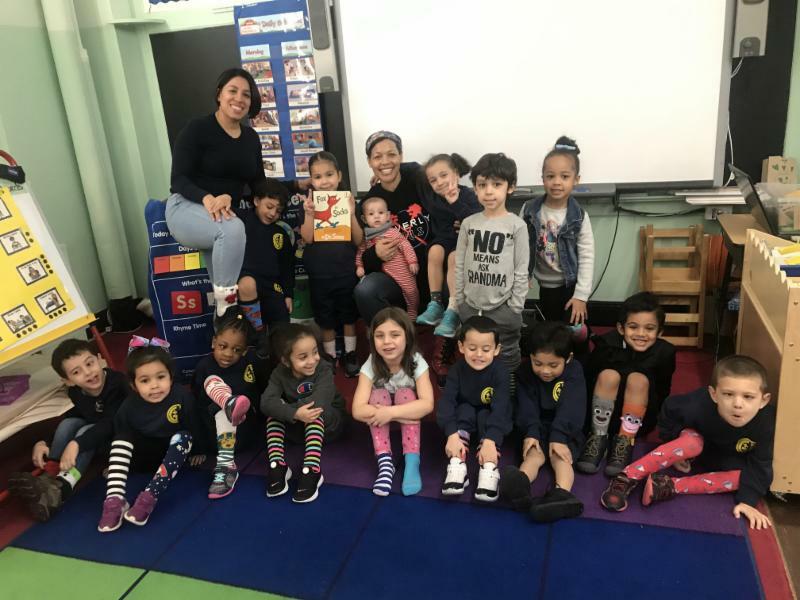 Our PreK classes celebrated Dr. Seuss Week last month in celebration of Dr. Seuss's Birthday on March 2nd. 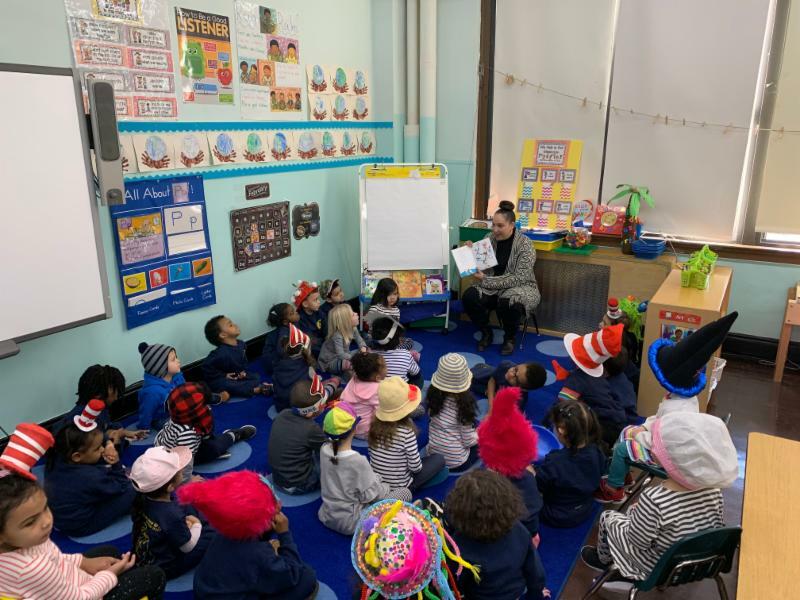 Each day was themed based on one of Dr. Seuss' books. Books included: The Sleep Book, The Cat in the Hat, Fox in Socks, and of course, Green Eggs and Ham. Thank you to the parent volunteers for taking the time to come in and read Dr. Seuss to our preschoolers! In each issue, we will be spotlighting a student who shows excellence in the classroom and in our community! 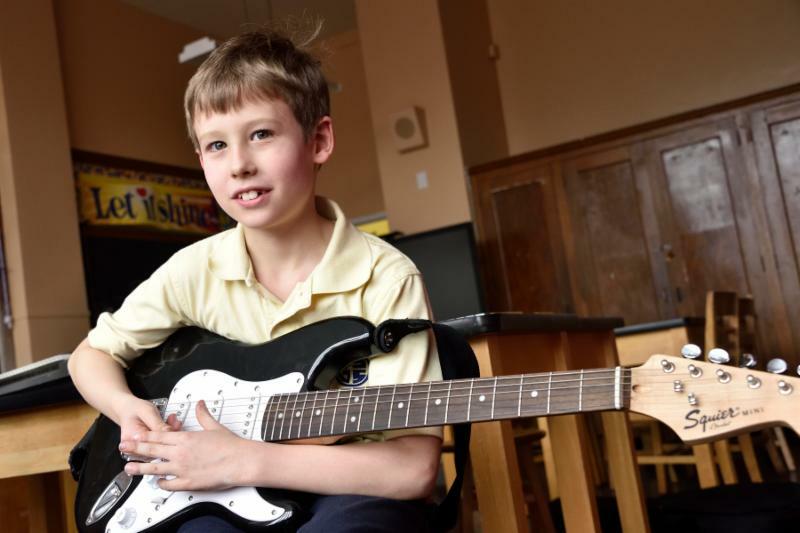 This month, we are spotlighting James Bahr, a third grader at GSS. James is a student with many talents and interests and has impressed us with his recent blog titled Jimmy's Birds. About his blog, James says "I wanted readers to learn about birds because if they don't, they can't identify them. You can tell if they are birds of prey, or gulls that want to steal your food. I want them to feel like they know about birds. 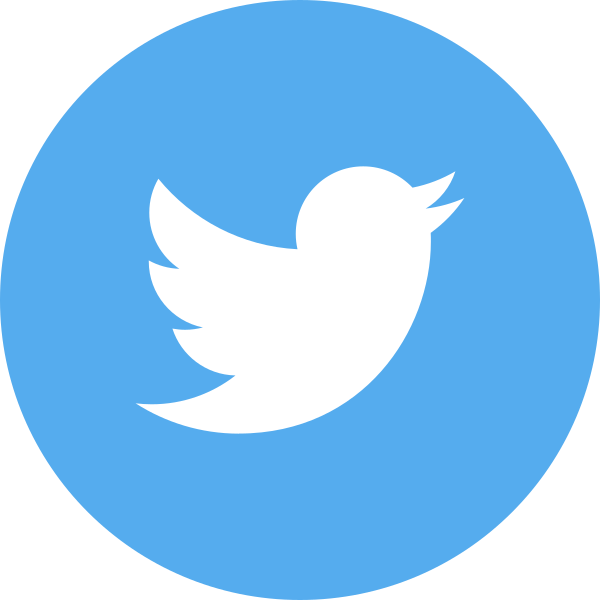 Birds are pretty cool to me." Alongside his interest in birds, James also plays guitar. He says, "I like to play 'Iron Man' because it is really simple. You have to get the right timing for the notes, especially in the beginning. Music is fun because you can do it yourself easily—you just have to step up. You can't be afraid. You just have to keep playing, even if you mess up." 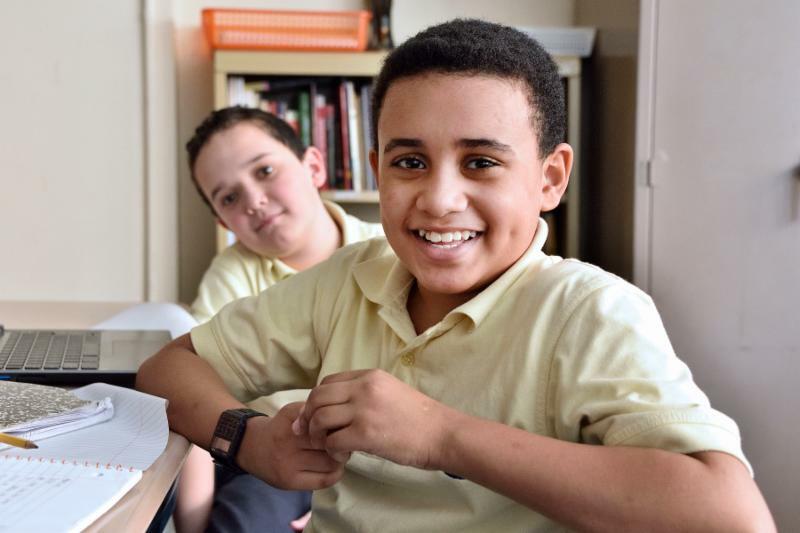 James says about being a student at GSS, "When I am at school, I feel like I'm going to have a good day, because I feel ready for everything. Some days rise up and some days go down, but it's a good place. I learn new things every day." You can also see James on stage crew for GSS Theater Club productions. He says, "I like that you have to go fast, but stay down low. You have to go pretty fast. The goal is for nobody to see you, except what prop you are moving or putting down. You have to be fast!" Congratulations to James on his accomplishments and talents! 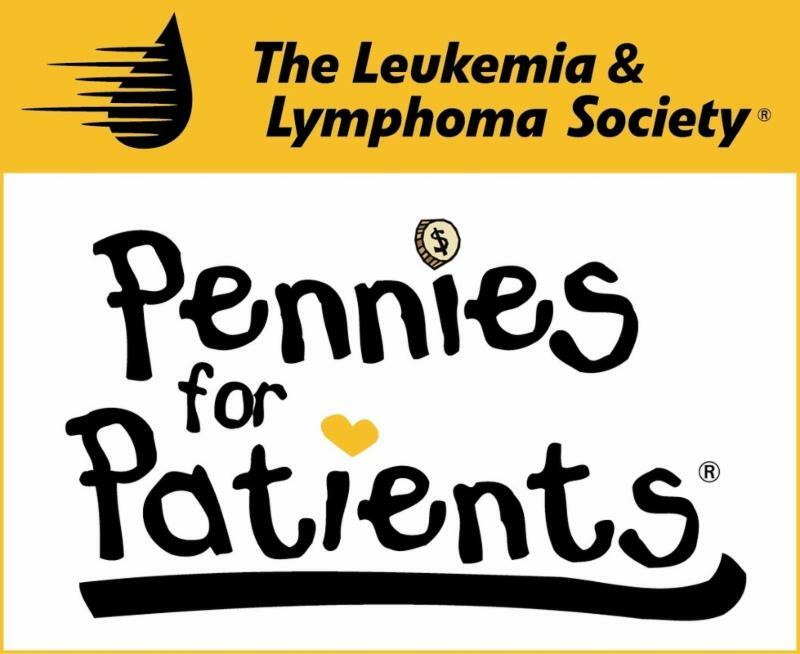 GSS is once again taking part in the Pennies for Patients fundraiser for the Leukemia and Lymphoma Society. Thank you to our Student Council (pictured left) for organizing the fundraiser. Our school has teamed up with LLS to create a world without cancer, and YOU can help our Squad make a difference in this journey. All donations are greatly appreciated and are tax-deductible. 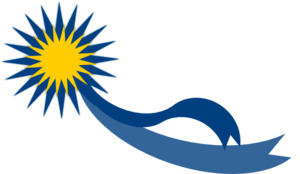 Donations support LLS research, patient services, advocacy, public and professional education, and community services. Please visit this link to donate to our fundraiser! 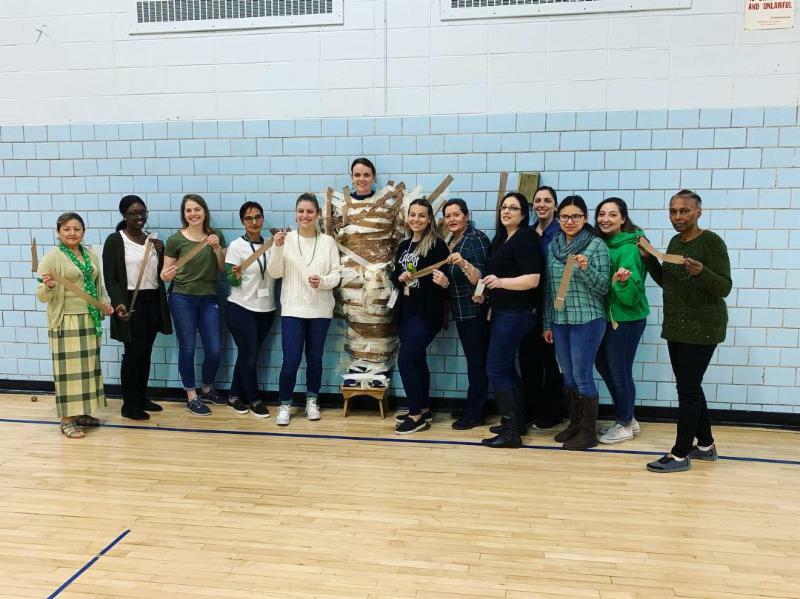 Not only did we celebrate St. Patrick’s Day, but we also held our “Stuck for a Buck” event on Friday, March 15. 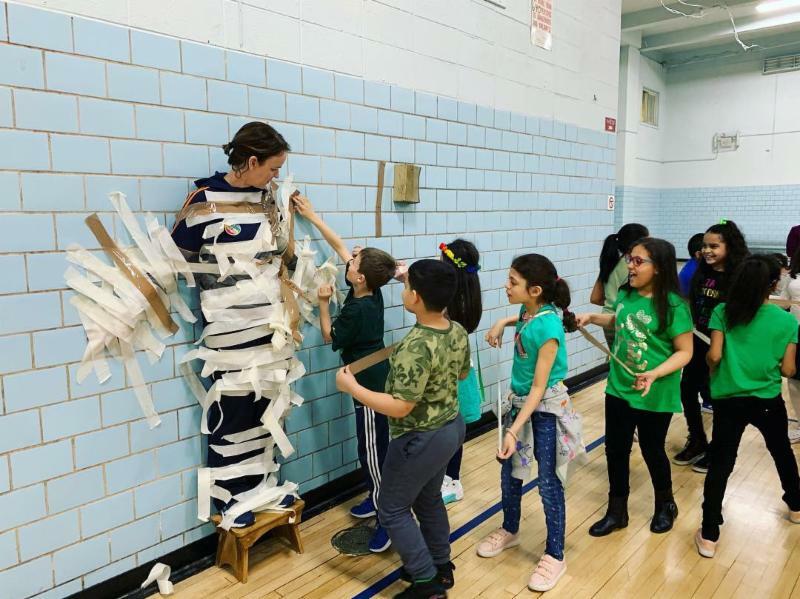 Students and teachers taped Principal Mrs. Lavery to the wall to raise money for Pennies for Patients, our fundraiser to support the Leukemia and Lymphoma Society. Thank you Student Council for organizing the event! Thank you to Mrs. Lavery for being such a great sport! GSS Theater Club's Spring Musical... "Seussical, Jr."! 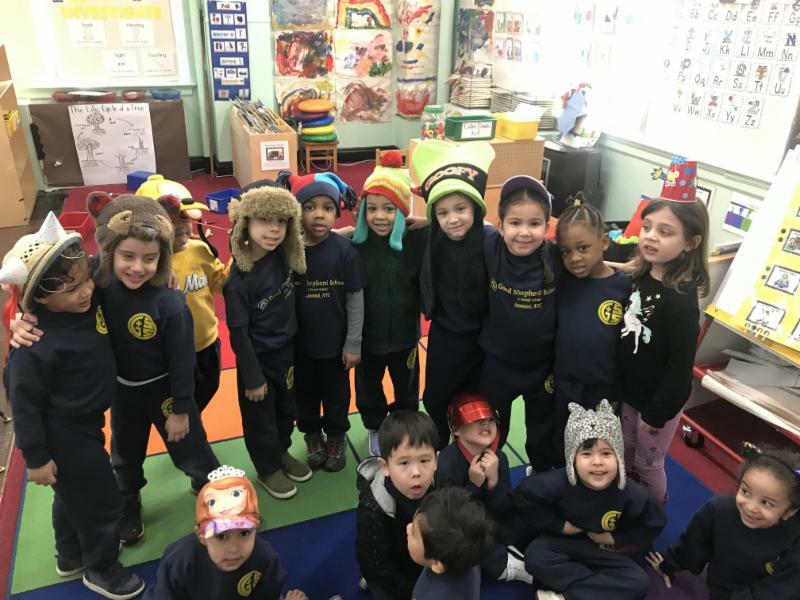 The colorful world of Dr. Seuss comes to GSS! 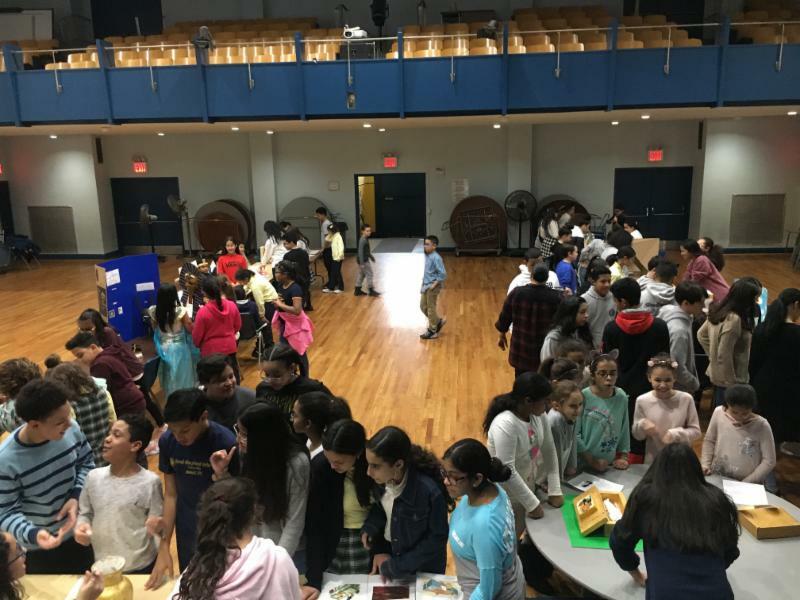 2nd - 8th graders are currently in rehearsal for our spring musical, learning lines, fitting into costumes, making props and sets, and dancing and singing their hearts out! We hope you can join us for the performances. Reserve your ticket today online! Have you recently moved, or have a new phone number or e-mail address? Does your GSS mail still go to your parents' home? Let us know! 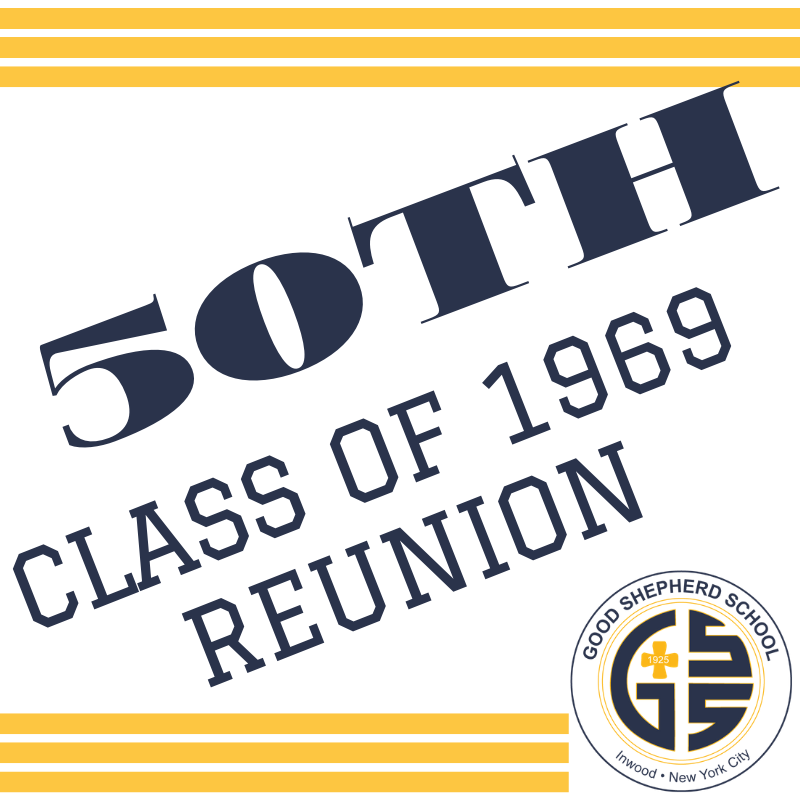 The school is always looking to update and maintain accurate information in the alumni database. 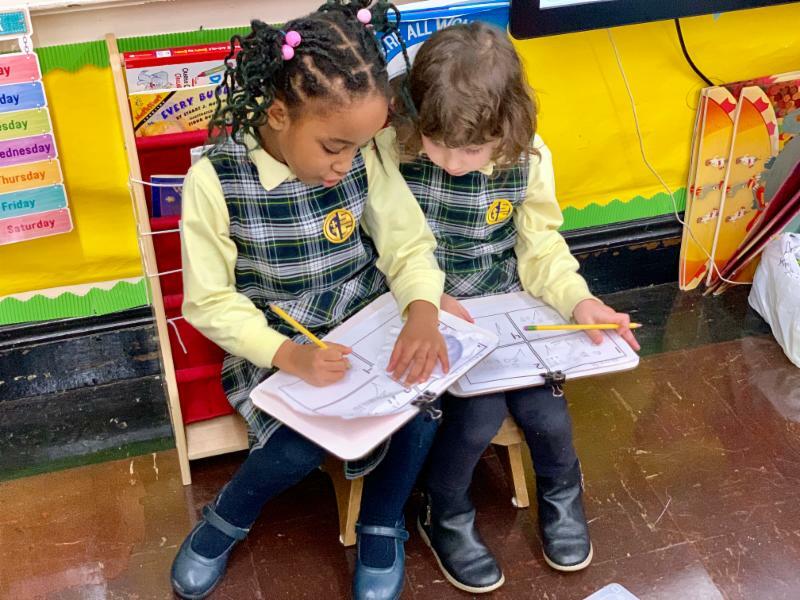 If you have any recent changes to report, e-mail meghanginley@gsschoolnyc.org or call (212) 567-5800. 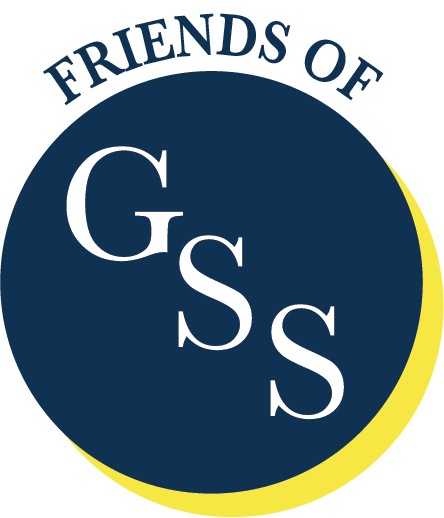 Did you know GSS is on social media? 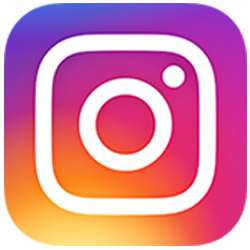 Click here to join the alumni, parents, and friends who have already made a difference in the lives of our students this year. Please share this e-Edition with your friends and fellow alumni and encourage them to join our mailing list. 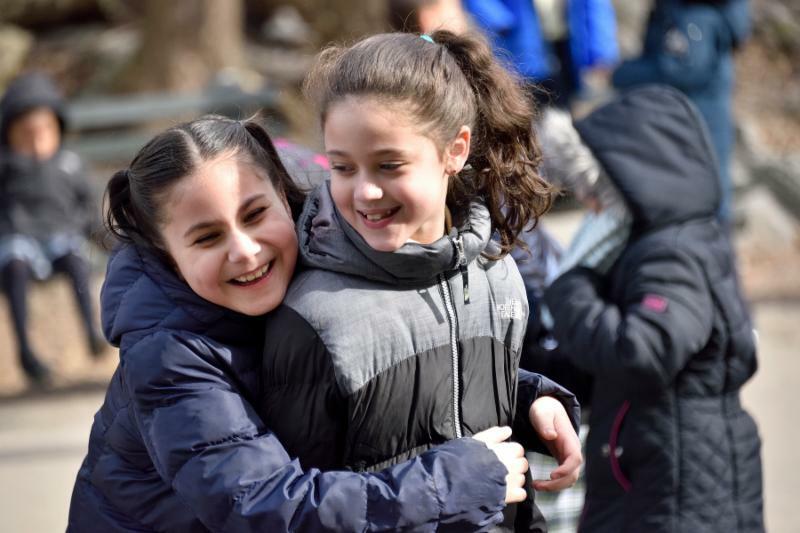 With your help, we will be able to share our good news with even more friends!